Is your living room carpet dirty and dusty? Does your bedroom carpet look worse for the wear? It is time to get it thoroughly cleaned! 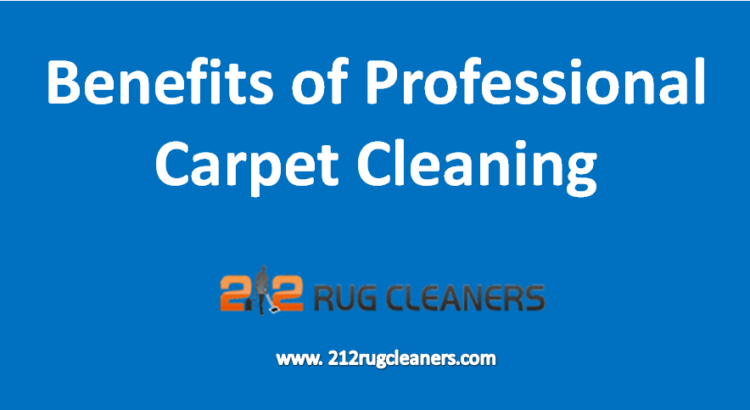 Carpet cleaning can be a DIY task, and yes, it might be cost-effective to a certain extent, but getting it done by a professional has a myriad of benefits. Dirt, dust, allergens, and other debris accumulate in the carpet and get embedded within the fibers over time, which leads them to split and deteriorate. Removal of the buildups improves longevity of the carpet. Apart from hiring a professional carpet cleaning service, you can do your own part by vacuuming regularly. Besides removing dirt, professionals also eliminate tough stains from wine, coffee, ink, pets, mud, and even pet stains. If dust and allergens remain trapped in the carpet fibers, they might find their way into the breathing air as well. This can cause respiratory problems, allergic reactions, and other health problems. The safety of your family members can be severely compromised. The high temperature of the water used by most carpet cleaning professionals kills off these allergens and sanitizes the carpet, thus contributing towards a healthy and pure environment at home. Carpet cleaning can reduce the effects of traffic lanes, extending its lifespan in high-traveled areas. Carpets in hallways, living rooms, kitchens, etc. generally receive quite a lot of foot traffic, so they tend to experience more wear than those in bedrooms or under couches. Dirt is constantly being tracked in these areas, which also begin looking darker than others. Cleaning ensures this problem is taken care of as the dirt is removed and fibers are restored. Did you know that the carpeting is the largest furnishing in a room? It is also the one that receives the most use. It makes sense, but not many people give much thought about exactly how much dirt is being tracked in every day. While one may not notice it at first, over time the room can look dirty and outdated just by the carpet’s condition. Professional carpet cleaning can keep not only the fibers looking new but improve the aesthetics of the room. Choose the carpet cleaning service after conducting thorough research about its reputation and quality of work. Check out online reviews so you can get a better insight!